SUM function can be used to add all numbers in a range of cells. It returns a number that represents the sum of all the numbers. number1 – the first number you want to add. It can be a cell reference, a cell range, or can be manually entered. 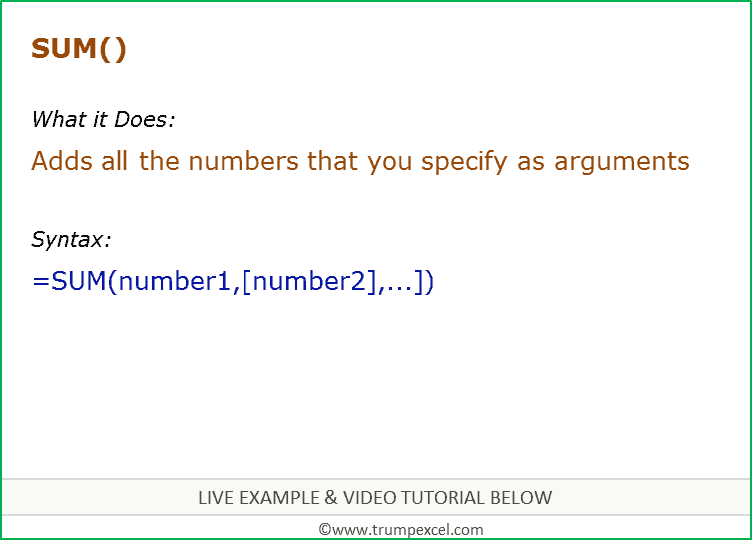 [number2] – (Optional) the second number you want to add. It can be a cell reference, a cell range, or can be manually entered. If any of the argument is an error, it displays an error. Calculate Weighted Average Using Excel Sum Function.